Buhari with APC leaders from Kwara. 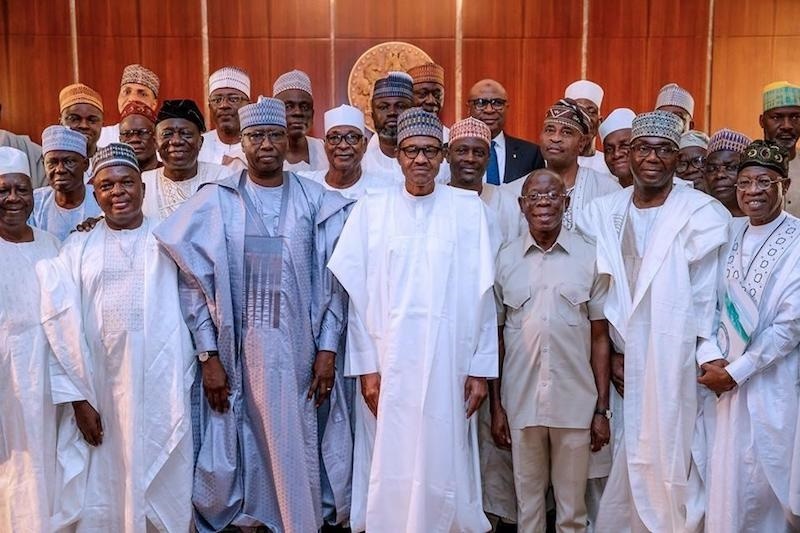 President Muhammadu Buhari has given members of the All Progressives Congress in Kwara State marching orders to dislodge Senate President Bukola Saraki and win the state in the 2019 general elections. Buhari gave the order during a closed-door meeting with leaders of the party in the state on Monday in Abuja. Speaking to State House correspondents after the meeting, the APC governorship candidate said Buhari has directed the party to take over Kwara state in 2019. Abdulrasaq said Buhari’s marching order would be democratically implemented by the party as the people of the state had since expressed their readiness to end Saraki's political dynasty. He said: “Kwara has become a battlefield now. As you can see, we came to see Mr President having gone through a very competitive process of primaries. “We went through the direct primary in which about 100,000 party faithful voted. “We had our difficulties but we came to tell him that all is well. We are in unison and he has given us marching orders to go and take Kwara.